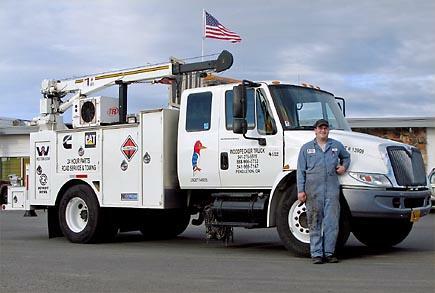 Engine trained technicians are available to provide fast and reliable service on your truck when you need it most, to keep you on the road. We keep our technicians up to date with the latest technology and certifications. From ECM calibrations to complete engine overhauls and installations, if it has to do with a medium or heavy duty truck or trailer we can handle it. With full factory warranties we have you covered.